We think of deserts as vast expanses of nothingness. No life, no growth and certainly no visible signs of the moments in between. 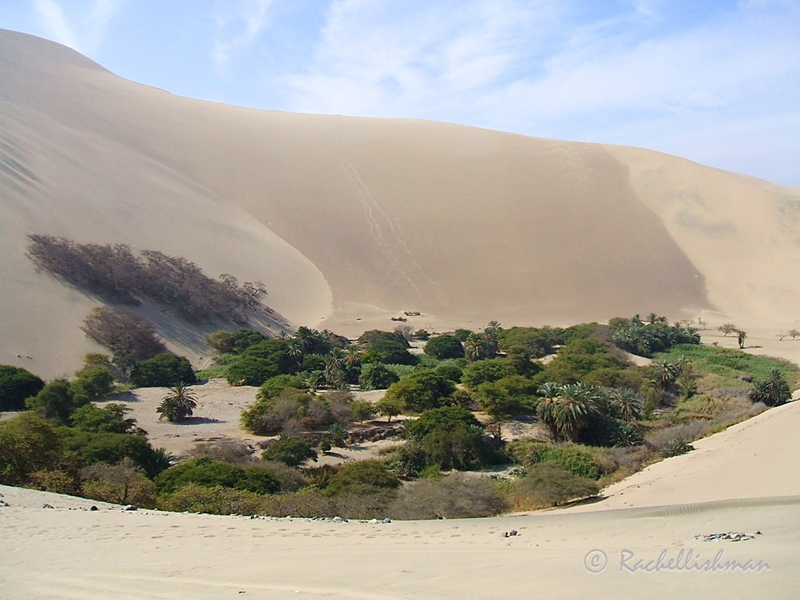 However Peru’s sands are far from barren. Set in an eternal irony, death showcased in all its forms allows us to see how ancient civilisations survived. Tombs and towering walls in Peru’s deserts tell stories of life. 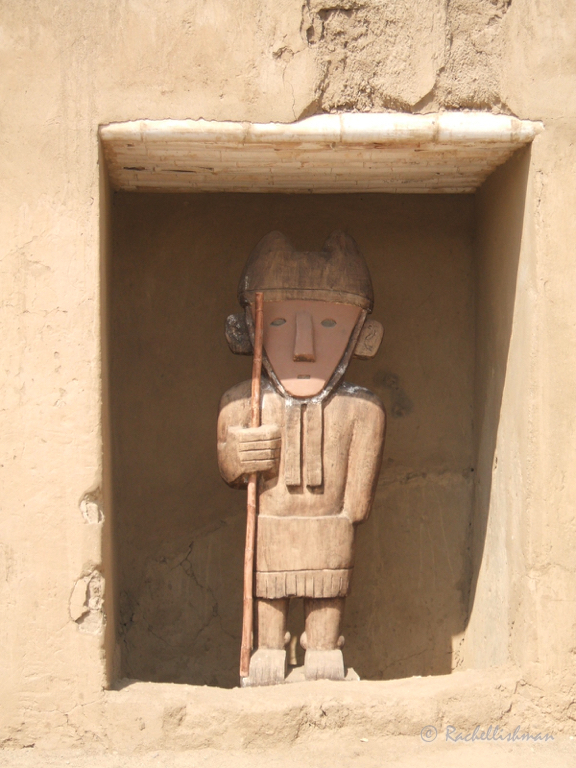 At the city of Chan Chan near Trujillo, once home to the Moche and later, the Chimu people, I walked through intricate compounds. Outlined by channels of sun-hardened mud, they were like a maze to the unknowing eye, with twists, turns and sheltered corners every way I turned. On the day of my visit, a clear blue sky provided a vivid contrast to the terracotta surroundings. Expressionless carved faces guarded open entrances to what were once important areas in the thriving community. Roughly thirty thousand people called Chan Chan city home at the kingdom’s peak. However, it eventually fell, like many other native strongholds, to the Spanish conquests of the 15th century. 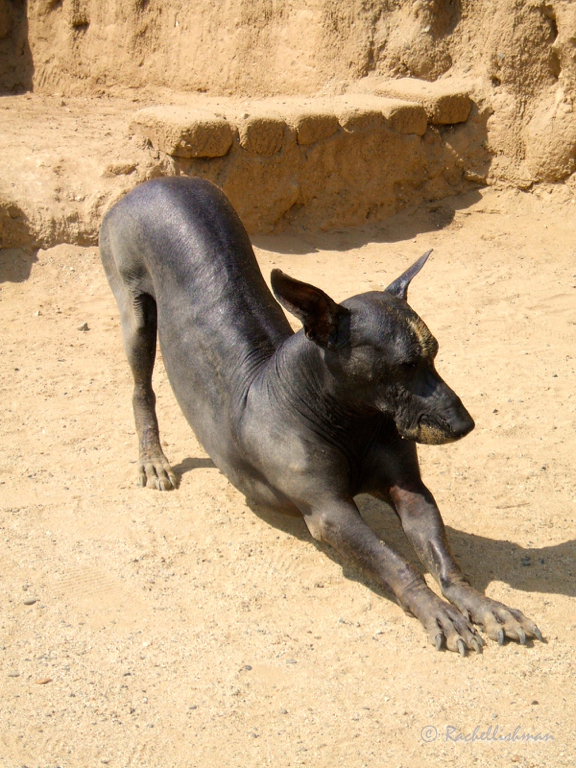 Covering over fifteen square kilometres, its cultural centre was silent save for a few tourists and a hairless dog picking their way through its channels. Incredibly, amid centuries of fierce temperatures and seasonal rains, Chan Chan and the nearby pyramids of the Sun and Moon have endured. Quite rightly, I wasn’t allowed to touch the ornate mosaics that covered the temple walls. 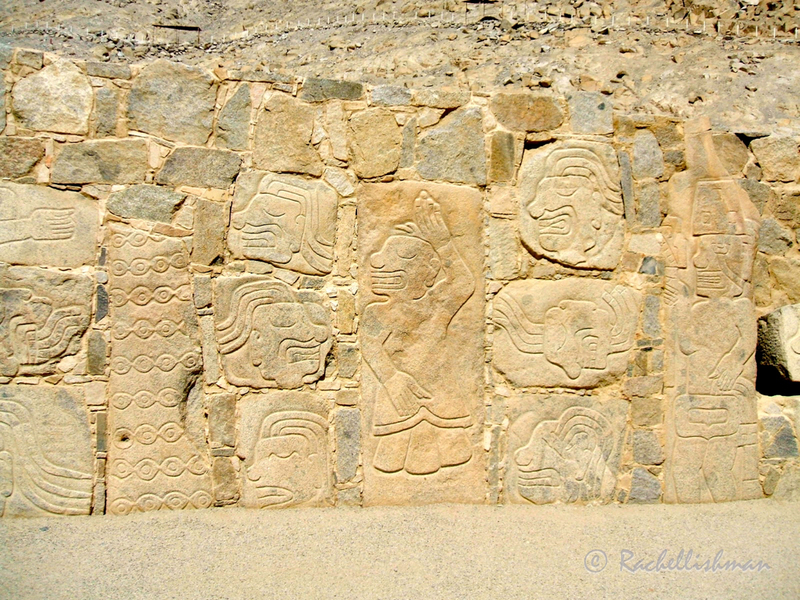 Instead I imagined the Moche people stood in my place, at a time when the ruins were very much alive. At Chauchilla Cemetery, an ancient burial site on the edge of a dirt road leading from the Panamerican Highway, I didn’t need to use my imagination: Perfectly preserved bodies sat in open mud-brick tombs. Dressed in ceremonial regalia of the wealthy. Their skeletons rested against the grave walls. Their knees were pulled into their chest; their hair still in swathes around their neck and often, remains of sun worn skin clung to their bones. Through the process of ritual burials, Chauchilla provided me with an intimate look into the lives of the region’s Nasca people. 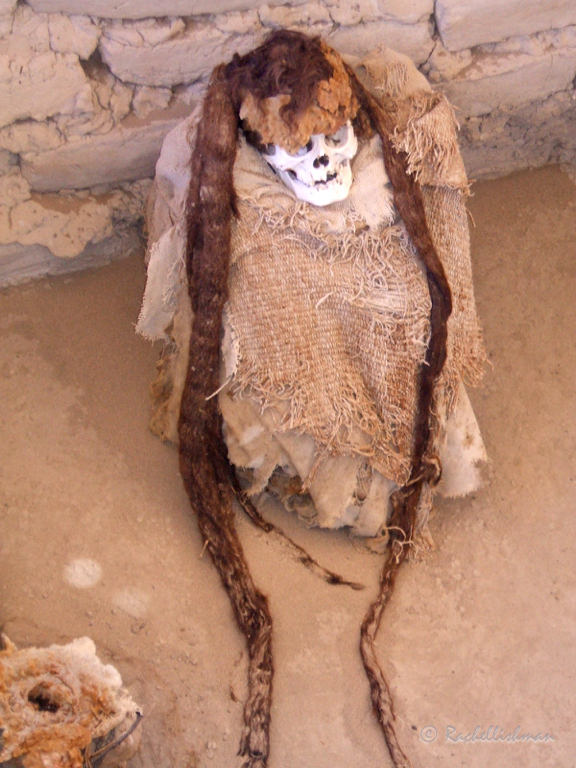 Between 200 and 800 AD these traditions, along with the dry desert climate have worked to keep the open-air mummies intact. During the ancient funerals, the wealthy were first dried on posts and then wrapped with cloth, before being covered in resin, which guarded against the elements and bacteria. While initially a daunting sight, I quickly realised that these bodies in fact gave a very vivid account of the kingdom’s beliefs. 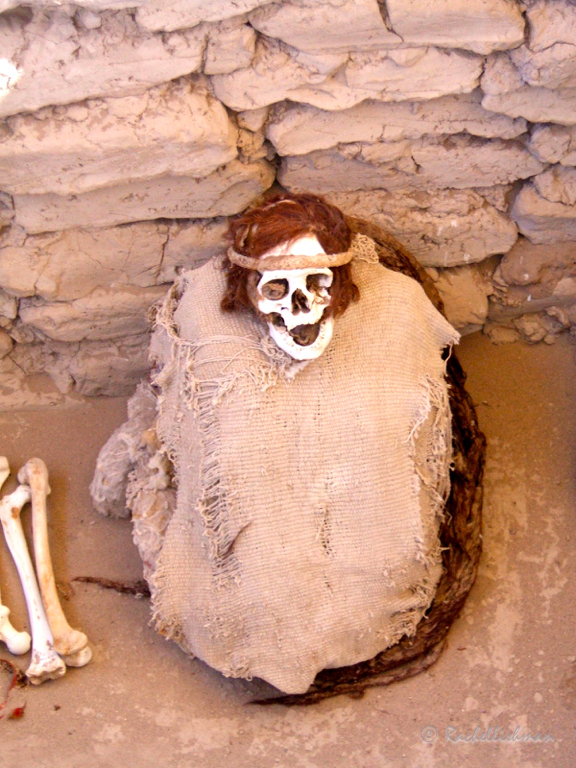 Far from death, these burials had actually achieved a passionate preservation of Nasca life. During my travels south along Peru’s coast, I was never far from a ruin. In fact, our group often joked that we were ruined by the copious wall etchings and tombs we encountered in an average day. Aside from Chauchilla and Chan Chan, there was Sipan, Sechin, Paramonga and so many temples of the sun and moon that I’m ashamed to say they all began to blur into a haze of the ancient past. One thread remained clear though; the remnants of a distant time all encapsulated the living ideas of their peoples. They also prepared me for the famous ruins I’d encounter a few weeks later: the Inca strongholds of the Andes mountains, and their proudest moment: Machu Picchu. There were still many histories for the continent to tell, but on Wednesday 30th May 2007, after the ruins and crypts had been explored, I was eventually rewarded with a very natural, and extremely obvious slice of life in the vastness of the desert: my very first oasis. I love this post. Makes me miss Peru, it’s rich history, the landscape, the food…& most especially, the people. Thanks Ailene! It’s a fantastic and extremely varied country and I’m quite nervous when I write about it because I want to make sure that I do it justice. I miss it too and have plans to return one day! You took me to a place I have never been, Rachel. Amazing how much is intact. The grave robbers didn’t get it all. Love the oasis picture. Thanks Lynne. Yes unfortunately grave robbers looted these sites over the centuries, but more recently artefacts and remains have been given back to the sites or local museums. I couldn’t quite believe how well-preserved they were. This post and pictures are so amazing! How did you get access to all these wonderful treasures? Thanks! I was lucky to travel with a company called Tucan Travel who had organised trips into the desert- at first I was reluctant to travel in a ‘tour group’ but soon realised I saw much more than if I’d been travelling alone!